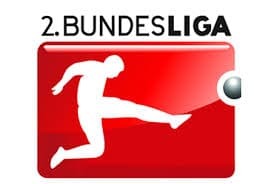 The 2013/14 2.Bundesliga is more of a throwback to the mid-1990s Bundesliga with the 21st July kick-off coming earlier than most other European leagues. Prestigious names have won the championship in the last five years, like Kaiserslautern, Gladbach and Hertha Belin, last season’s champions. 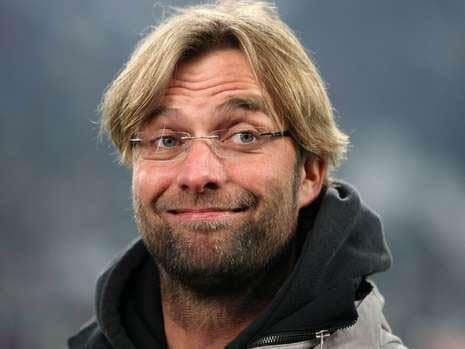 Licking their wounds from the promotion/relegation play-off defeat to TSG Hoffeneheim at the end of May, 1.FC Kaiserslautern are the outright favourites to take the 2.Bundesliga championship, shortest prices at 11/4 @ ToteSport, BetFred and Ladbrokes – but still available at the best odds of 15/4 @ 888Sport. Last season’s problem of scoring goals could be solved by summer signing Oliver Occean, who was top scorer back in 2011-12 for Greuther Furth, costing around £400,000. Former Gladbach midfielder Alexander Ring joins from HJK Helsinki, Simon Zoller, a strong 23-year-old central defender from VfL Osnabruck, signs for £350,000 and Norwegian midfielder Ruben Jenssen comes in from Tromso. Franco Foda has made up for losing Alexander Baumjohann to Hertha Berlin with some decent signings to add to an already strong squad for the 2.Bundesliga. Given their strength in-depth, Kaiserslautern are certainly right to be favourites out-right, but close behind them will be 1.FC Koln who have also strengthened wisely after a frustrating 2012-13 campaign, leading to another change in head coach and sporting director. Christian Clemens is the only notable departure, leaving for Schalke 04, in a deal worth around £2m to the Billy Goats. That loss will be undoubtedly softened by key summer addition Marcel Risse from FSV Mainz 05, a strong Bundesliga player, providing attacking quality on either flank. Wigan’s Roman Golobart is a free transfer arrival, whilst Maurice Exslager, a decent penalty-box striker and young, promising Maximilian Thiel who join from Duisburg and Wacker Burghausen, respectively. Decent odds of 4/1 are available on Cologne winning the league @ Bwin with 7/2 generally offered elsewhere. In the dugout, the Rhinelanders have made a smart, established coup in Austria Vienna coach Peter Hoger and for sporting director, Hannover’s Jorg Schmadtke to join lead-man Jorg Jakobs. It looks like a recipe for success in the long-term, at least. With Thiel coming in and Risse, plus Nigerian international Anthony Ujah already there, Cologne are a side worth keeping an eye on. Fortuna Dusseldorf are another club expected to be in the hunt, relegated from the top-flight in a dramatic last matchday of the season. They still averaged a crowd of 45,000 in the top-league and have also changed on the coaching front with Mike Buskens taking over from Norbert Meier – odds of 15/2 are best price from Betway. It will take something pretty special, yet equally still realistic, for another side to come through and take first place in 2013/14. 1860 Munich are best-priced 14/1 @ 888Sport and Unibet, whilst relegated Greuther Furth are possibly a decent outsider at 17/1 via Bwin Betting. The middle pack in the 2.Bundesliga are a competitive bunch, as usual, but perhaps lack the squad depth and extra quality to be classed as championship challengers. Energie Cottbus are 19/1 @ 888Sport and Unibet, but tipped @ 20/1 through Betway are FC St Pauli who will have some tough ground to make up to win the league. Still, they have bolstered attacking options with proven 2.Bundesliga goalscorer Christopher Nöthe and Stade-Rennes frontman John Verhoek joining the club this close season. VfL Bochum are one of the interesting options in the betting front: priced @ 40/1 by DafaBet and Bwin. Traditionally a top-half club with the odd promotion fight, the club has invested well with experienced playmaker Christian Tiffert returning from MLS and certainly removing any negative energy from Leon Goretzka’s drawn-out switch to Schalke 04. Furthermore, Hertha’s Felix Bastians, Kaiserslautern’s Richard Sukuta-Pasu and combative holding-midfielder Danny Latza are all new summer signings, and 2013/14 could be the ‘breakthrough’ year for Japanese playmaker Yusuke Tasaka who has spent 12 months already with the club. Guided by the eccentric Peter Neururer, Bochum could be one to keep an eye on next season for promotion at the very minimum. Union Berlin, FC Ingolstadt and FSV Frankfurt are all 49/1 best-price via 888Sport and Unibet for the championship. Then we enter the 100 prices for clubs who are, generally, expected to finish in the bottom-half of the 2.Bundesliga. Dynamo Dresden, SC Paderborn and Erzgebirge Aue are @ 100/1 across most bookmakers, including Betway, with VfR Aalen 150/1 and SV Sandhausen 199/1, also. More famous for a memorable UEFA Cup run in 1993, including a 7-0 thrashing of Valencia CF along the way, Karlsruhe return to the 2.Bundesliga to make up the 18 clubs. Inspired by Hamburg’s new recruit Hakan Calhanoglu’s 17 goals and 12 assists last season, KSC took the championship by three points ahead of also promoted Arminia Bielefeld. The loss of Calhanoglu will hit them hard and are rightly 299/1 @ 888Sport and Unibet, likewise Bielefeld.